Cities around the globe, whether large or small, have characteristics that create a particular identity. So what about Cleveland? What are its nuances, its images? In addressing that question, <i>Cleveland A to Z </i>is not a typical city guide. Rather than concentrating solely on the usual topics—landmarks, restaurants, shopping, and notable facts—this guide touches on deeper themes related to Cleveland’s people, places, stories, and events. These 72 short articles reveal details about the city’s rich history, while also hinting at the issues, attitudes, and even the quirks that define Cleveland’s character. 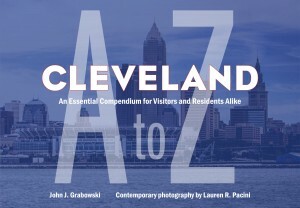 <i>Cleveland A to Z </i>truly serves as an entry point for a fuller exploration of the city’s history. In 1817, a group of German religious dis­senters immigrated to Ohio. Less than two years later, in order to keep their distinctive religion and its adherents together, they formed a communal society (eine güter gemeinschaft or “community of goods”), where all shared equally. Their bold experiment thrived and continued through three generations; the Zoar Separatists are considered one of the longest-lasting communal groups in US history. 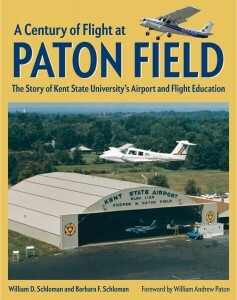 In 1903 Orville and Wilbur Wright returned to their hometown of Dayton, Ohio, from North Carolina, where they had piloted their powered flying machine for several short flights. They wanted to continue their research closer to home and chose a flat expanse called Huffman Prairie, eight miles east of Dayton, to continue their experiments. Here, in 1904 and 1905, the brothers refined their machine, creating the world’s first practical powered aircraft.